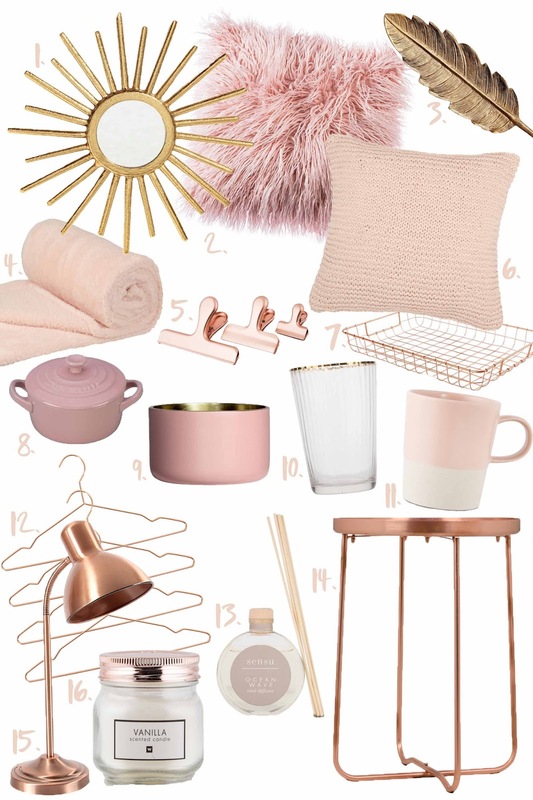 I absolutely love anything in blush tones at the moment, especially when paired with copper or rose gold. I have to stop myself from wanting to buy everything in the colour. 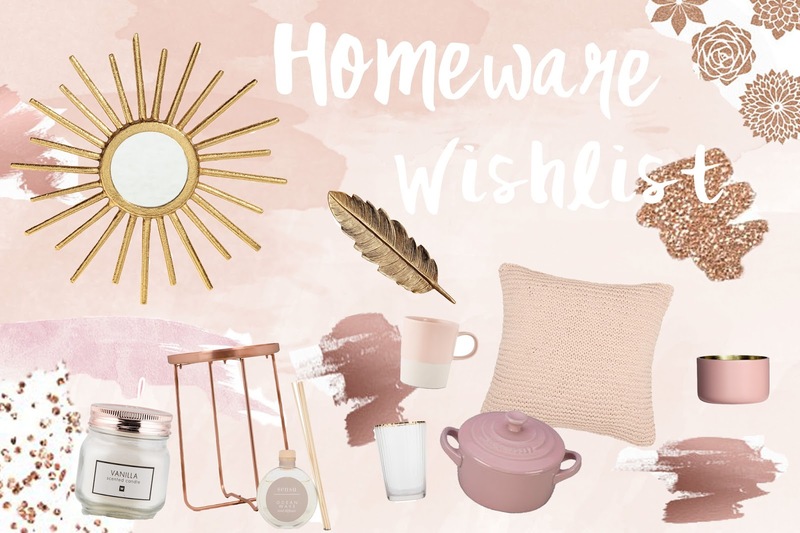 So seeing that copper and blush is my go to colour scheme at the moment I thought I would put together a little homeware wishlist. Let me know what some of your top picks are, enjoy browsing. 2. Faux Fur Scatter Cushion - The blush cushion is out of stock at the moment, but take a peek at the colours. Here's hoping they bring it back into stock!